Arlene from Israel: In Memoriam. It is with sadness that I note the passing on Tuesday of Salomon Benzimra of Toronto. Originally from Morocco – what was then the International Zone of Tangiers – he was able to trace his family back to Spain prior to the Inquisition. When it became necessary they had escaped across the Straits of Gibraltar. He was fluent in Spanish and French, as well as English. Trained as a chemical engineer, Salomon developed a passion for the issue of Israel’s legal rights more than a decade ago. With Goldi Steiner, he co-founded Canadians for Israel’s Legal Rights, and wrote an authoritative book on the subject:The Jewish People’s Rights to the Land of Israel, available on Amazon in Kindle format. Salomon and Goldi were in Israel for meetings; my Legal Grounds co-chair, Jeff Daube, and I had sat with them on Monday. Salomon passed while on his return to Toronto the next day. May his memory be for a blessing and may his work continue to inform many. The first is of Sarah Zoabi. I had first seen this particular video clip – with subtitles – some time ago. She was entering a cooking contest and had to speak about herself. You can see how surprised/impressed the judges are. She speaks about the right of the Jewish people to have the land of Israel, the holy land. It’s a Gan Eden, a paradise, she says, compared to all the Arab lands. In Israel she is 100% safe. When will Arabs in Israel wake up and realize this? And then her son Muhammad, who speaks in English, and is nothing short of extraordinary. A brave boy who received Muslim Arab threats for his position as a proud Israeli. Please note that both mother and son talk freely about Israel as a Jewish state. They don’t protest that it must also be a Muslim state to be fair to them. They know they receive civil and human rights in Israel – rights they would not receive anywhere else in the Middle East, and they are more than content to live within a Jewish Israel. This is enormously important. Those who wish to destroy Israel as a Jewish state protest that an injustice is done to the Muslim citizens because there is a Jewish star on the flag, and Hatikva speaks of the Jewish soul, etc. Nonsense. Never be taken in by this. It is also encouraging that 13% more Arab Israeli youth participated in National Service in 2015, which suggests a readiness to be a constructive part of Israeli society. National Service (Sherut Leumi) is an alternative to serving in the army for religious Jewish young women and some few young Jewish men who will not be serving in the army. For Jews, service of one sort or another is mandatory, for the Arabs, it is strictly voluntary. There is a huge selection of ways in which the service can be done. The young Arabs reported enduring intimidation within their communities with regard to their decision to “take the ultimate leap” and become “agents of the state.” But they did it anyway. Fighting the terrorism of the “knife intifada,” which is also a shooting and car ramming intifada. (Please! do not send me your suggestions. I am not in touch with the prime minister and fear being overwhelmed by more emails in my inbox than I can cope with. The attacks come not just from Palestinian Arabs, but sometimes from Israeli Arabs and Arabs with residency permits living in Jerusalem. That this generates problems is obvious on the face of it. In numerous instances, although not always, the terrorists emerge from amongst us. The attackers are identified as “lone wolves” – persons acting alone without membership in a terrorist cell or according to specific instructions provided by a terrorist leader – it is said they act on their own initiative. This identification is only accurate in part. Sometimes teams of two or three go out together. And while they do not have specific instructions regarding the attacks they perpetrate, they are guided in the general sense of having been exposed to virulent incitement at official PA levels. That is, the attacks are not simply “spontaneous.” This said, however, it is far more difficult to anticipate a given terror attack than it would be if intelligence were able to track a pattern of planning within a cell. The age of the attackers is lower, with many in their teens, even early teens. There is considerable discussion regarding the families of these teens – do they encourage and condone what the kids do? Are the kids out of control? Actually, this discussion of family involvement applies even when the terrorist is not a teenager. I think for example of the Tel Aviv terrorist, who was no kid. Ultimately members of his family, from a village in the north, were arrested as possible accomplices. The method of attack is different – with the very frequent use of knives, which are ubiquitous and easy to acquire as well as easy to hide. Although in the main we’re talking about daggers and not the average kitten paring knife. And sometimes axes are used. On occasion, guns, even submachine guns, have been used, resulting in killing and wounding of a larger number of victims. When the guns are used, predictions are made regarding escalation of the intifada. Has everything that might be done to stop the terrorism been put into place? Absolutely not. I hear accusations that Netanyahu has done nothing against the terror, and I think that is an unfair charge. But what he has done to date is not yet everything he might do. There have been no compunctions about shooting terrorists in the midst of attack – shooting to kill, even if the terrorist is a teenager. Although there are discussions about when it may be inappropriate to kill – as when the terrorist is already disarmed and down. Outrage emanates from some quarters when occasionally a rabbi – relying on the Talmudic injunction that “If someone comes to kill you, rise up, and kill him first” – pronounces it an obligation to kill terrorists. There are official sanctions against continuing to shoot a terrorist in excess of what is necessary (however that is defined). This said, acting with full force in all venues requires nerves of steel and iron determination. Netanyahu knows that the world is watching. The slippery Abbas plays it very smart, although I should point out that he plays to an international audience often all too eager to find Israel at fault. He frequently paints the terrorists as innocents who are gunned down by Israeli assassins, which is manifestly ridiculous. Or he claims that it’s the “occupation” causing the violence, which is another patent falsehood. While he makes these declarations to the larger world in English, his own people hear him, in Arabic, as he decries “defilement” of the Temple Mount by Jews, and heaps great praise on terrorists as “martyrs.” The message to young people – and Abbas’s culpability – is clear. As the clamor for the government to do something more effective to stop the attacks grows louder, more decisions are enacted. I have found myself asking, on more than one occasion: if it’s good to do this, why wasn’t it done sooner? One of the things I know the government wrestles with is the question of whether very stringent measures applied to an entire group will be effective as deterrent or cause resentment that increases the violence. Stringent measures such as blocking Arab workers from entering an area for their jobs. Two days ago there was a demonstration by hundreds of Jews who live in Judea, marching along route 60 demanding closure of the road to Arabs during and after an attack. I am not sure how temporary closure serves as a deterrent, but the entire issue of allowing Arabs to use roads that Jews use, in areas where there have been frequent attacks, such as Gush Etzion, is one under discussion. There is discussion as well about expelling terrorists’ families. According to the new attorney-general, Avichai Mandelblit, this is only possible under certain circumstances. The family had to have known about the attack prior to its having taken place, and they can only be expelled to ( Palestinian Authority areas of) Judea and Samaria, and not to Gaza or Syria, as some legislators had wanted. He says such a move would violate international law and could be used to sue Israel in the International Court of Justice. 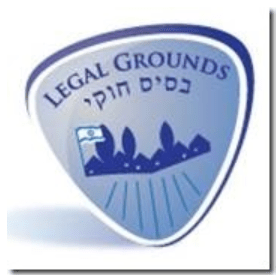 This, then, is one restriction that Netanyahu faces – rulings of the courts and the judgment of appointed legal advisors, within a legal system that tends to tilt left. I will say that Mandelblit appears to be a measure better than his predecessor had been. I do know that there have been instances of revocation of rights of Jerusalem residents who are family members of a terrorist – although this is certainly not a policy being followed in all instances. One of the reasons there is a problem with Arabs who possess Jerusalem residency permits is because there had been a policy of “family reunification.” If an Arab from a PA area married an Arab with Jerusalem residency, he or she received a permit to live in Jerusalem. This has been a source of trouble on numerous occasions, as those who were doing the “reuniting” were not necessarily desirables. In recent years legislation has been in place blocking further automatic family reunification. There is talk about restricting worker permits for those who live in PA areas and come into Jewish areas to work. Certainly, Netanyahu wants to revoke work permits for families of terrorists. Beyond this, and more seriously, is the problem of Arabs from PA areas who are working in Jewish areas illegally. After the terror attack in Jaffa, which was committed by someone who was in Israel illegally, a roundup of some 250 Palestinian Arabs who were illegals took place. There is going to be a clamping down on the employers who hire the illegals, as part of the approach to mitigating this situation. My sense of it, however, from informal queries, is that there is a dependence upon these workers in the construction industry, which means we have a problem. There is supposed to be demolition of houses of families of terrorists, but this seems to be happening only sporadically. To date, the houses of only 12 terrorists have been demolished, with another seven scheduled for demolition. In one of his first recommendations in his new position, Attorney General Mandelblit advised that families who turned in terrorists should not have their homes demolished. This position was ultimately accepted. It seems imminently sensible to me – and may even encourage families to hand over terrorists. There is the issue I wrote about previously regarding returning of bodies of terrorists to their families – with confused guidelines and some bodies being returned. Netanyahu has declared intention to complete construction of the security barrier, begun in 2002, in the area around Jerusalem. Although it would likely have some impact, it does not seem to be a major solution to the problem – as some of the terrorists emanate from inside of Israel. Then there is the objection to the barrier based on concerns that this creates a de facto border for Israel. Sometimes a terrorist’s village is closed for a matter of some days following an attack. Here, too, I am not clear on how something so temporary can be see as an effective deterrent. It is, I assume, being done as a warning of what will happen if other residents of that village attack – with the hope this will cause people to think twice. What I see as the single biggest problem – the incitement coming from the PA – is not being addressed. There have been calls for shutting down the bandwidths on which the PA broadcasts. But this – which would require iron will because of the international furor that would ensue – has not been done. There is very little to say about this although you may hear the sound of my head banging against the wall. I have heard nothing about restrictions being placed on Abbas in any sense whatsoever, to dissuade him from some of his behaviors. As I reflect on this situation, I have just a few comments. Opposition leader Bugie Herzog has been telling everyone who will listen that the solution is “separation,” by which he means unilateral withdrawal from at least parts of Judea and Samaria. This is a horrendous suggestion from a perspective of our legal rights and with regard to security. But in any event, it would not solve this problem. As I read over the various issues and suggested measures, what stands out as clear is that there is a great deal of interlocking between Jewish Israelis and Arabs, whether Israeli or Palestinian. We cannot draw a line and “separate.” Some live here amongst us legally, either as citizens or with resident permits. And they would continue to be exposed to PA incitement even if a fence separated us from PA areas. Many are relied upon as needed labor. If there is a to be a meaningful long term solution, it seems to me that it will have to be in the opposite direction. It is past time to declare Oslo a failure. But that is not going to happen right now – because of the implications within the international community: UN Security Council resolutions, boycotts and the rest. And, perhaps even more significantly, because it means that all at once all the Arabs in the PA areas would be Israel’s responsibility. Perhaps the Palestinian Authority will do us a favor and finally implode on its own. Or maybe Israel will find it necessary to take this step some time not so far down the road. The education system in the PA area has to be revamped. The incitement has to cease. Streets with the names of terrorists have to be-renamed. It is not incidental to consider the positive impact that might be generated if Palestinian Arabs were freed of their infuriating and strangling confinement within a system that is unendingly corrupt and provides them with scant human rights, pathetic services and meager economic opportunity. I have no intention of addressing here questions of whether [with the banishment of terrorist elements] they would be provided with an autonomy short of a state or citizenship within Israel, if they pledged loyalty. Rather, I am looking at the constructive turn-around that might follow over time. Whatever the polls show, this I know: when there was talk of dividing Jerusalem, those Arabs living in the part of the city that would have been turned over to the PA hurried to move to areas that would have been retained by Israel. For all the talk of their wanting “a state,” this is not what we saw. For now, however, this is only wishful thinking. And so I close with something unusual, a total change of mood: the late Ofra Haza, who returns here to her Yemenite roots and sings a 17th century traditional Yemenite song, An explanation and translation of the lyrics is included if you scroll down. “Im Nin’alu” is a hebrew poem by the 17th century’s Yemenite Rabbi Shalom Shabazi, which has later been put to music and was sung by Israeli singer Ofra Haza, among others. Yemenite Jews have been singing it in various celebrations, mainly weddings. Most of the song is about the angels praising and singing to god. This is the original version recorded by Ofra, from the album “Yemenite Songs” a.k.a. “Shirey Teyman”. In this album Ofra returned to her roots interpreting traditional Yemeni Jewish songs with lyrics coming from the poetry of Rabbi Shalom Shabazi. The album was recorded with both traditional and modern musical instruments; wooden and metal percussion, Yemenite tin and tambala, strings, brass and woodwind as well as drum machines and synthesizers. Previous Arlene from Israel: Where to Begin?